Kyouko Mogami lived solely for her childhood friend Shoutaro "Shou" Fuwa. She follows Shou to Tokyo so that he may realize his dream of becoming a famous singer. When his dream is realized, Kyouko overhears the truth behind his decision to bringing her with him: he was using her as a maid. Shocked and enraged, Kyouko swears to take revenge by outdoing him in show business. 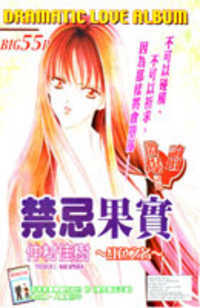 With a new look and a new attitude, she joins LME, the agency where Ren Tsuruga (Shou's rival and the #1 actor of LME) works, in the hopes of achieving her goal of destroying Shou's pride. Along the way, she discovers her true self, makes new friends (and enemies), and finds herself at the heart of some interesting situations that will change her life, and the lives of all others involved, forever.